Entrance to Hassan Gallery in Hanover, MA. 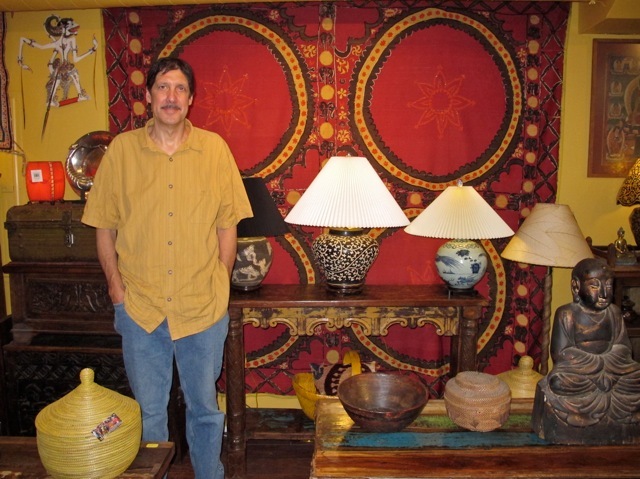 Richard Hassan surrounded by collectibles from around the globe. Richard Hassan is at the helm of Hassan Gallery and has been in the Oriental rug business for over 25 years. Richard’s family immigrated from Al-Fakiha, Lebanon where his family has a history in rug weaving. This village is one of only two towns in Lebanon that is well known for creating exquisite rugs. Throughout Richard’s career he has cultivated a network of individual dealers that source items on a piece-by-piece basis One such piece, in the photo above, is a 100 year old antique Susani from Uzbekistan that Richard acquired in Istanbul. Susanis are traditionally created for a couple’s wedding day and would then be used on their bed as a covering or hang on the wall as a decorative piece. Richard makes the trip to Istanbul once per year to meet with specialized sellers who handle the finest textiles, copper, rugs, felts and handmade Turkish towels. Travel the world right on the South Shore of Massachusetts. Find a vast array of pieces that are unique and unusual with prices that range from $10 to $10,000 and are individually selected to accommodate any budget for the individual who has an appreciation for uncommon pieces that tell a story. The hallmark of this gallery is authenticity-meaning handcrafted and one-of-a-kind. Buddha and Avalokitesvara statues from Thailand. 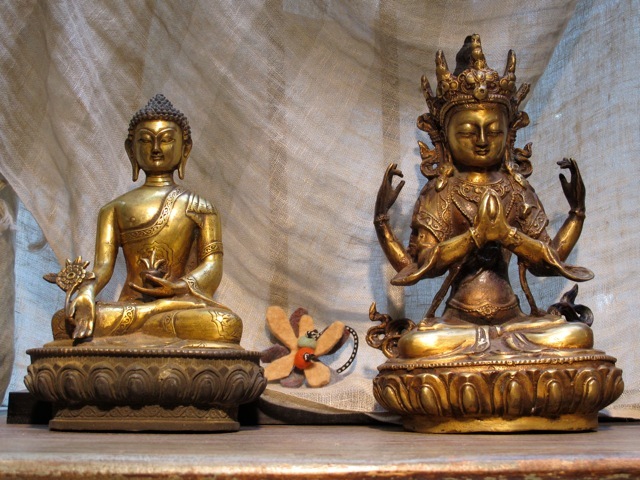 Richard recently acquired a selection of intricately crafted Thai metal statues from one of his network of dealers that are currently being offered at surprisingly low prices. Chinese Buddha carved from wood. 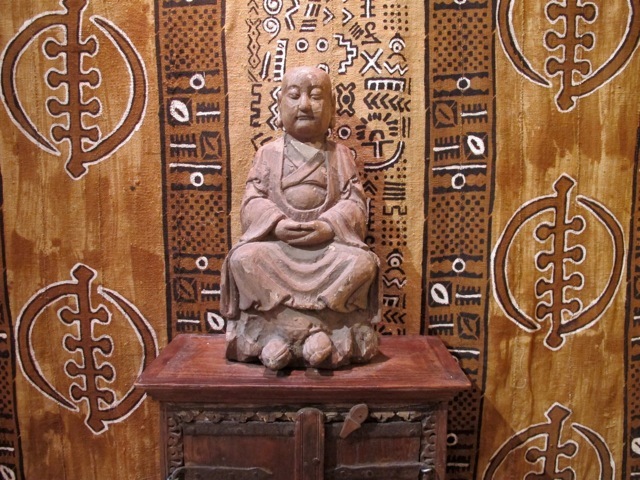 Meditative peace and serenity exude from this carved Chinese Buddha placed on an old cabinet from India in front of an African mud cloth from Mali. 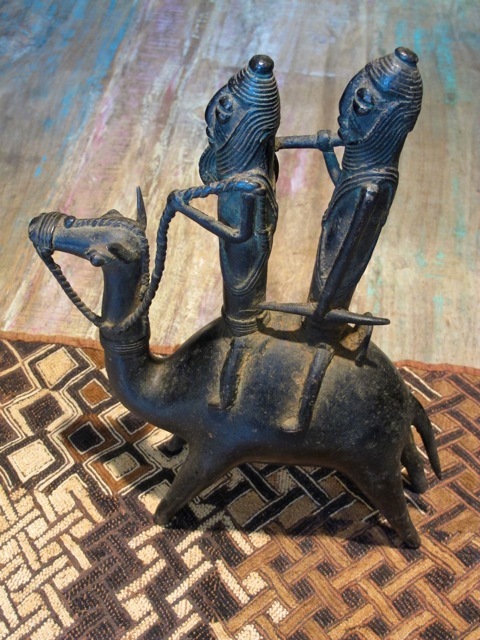 Warriors Riding a Camel depicted as a metal casting sculpture in the traditional, local, representational style from Chad. 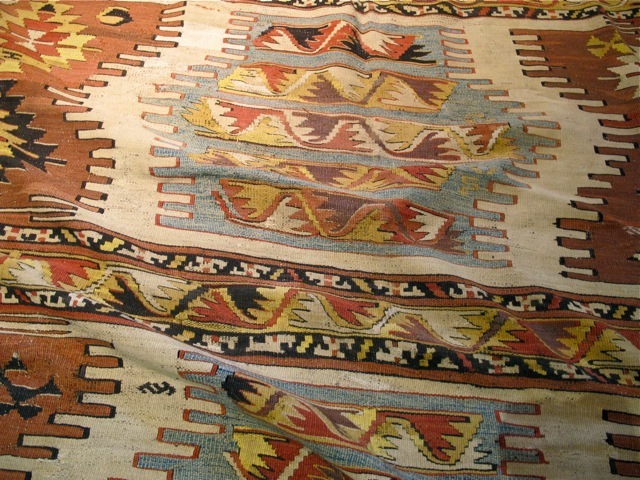 This incredible 100 year old Turkish Kilim was acquired by Richard on his recent trip to Istanbul. Rugs have been a major part of his business and still are today. 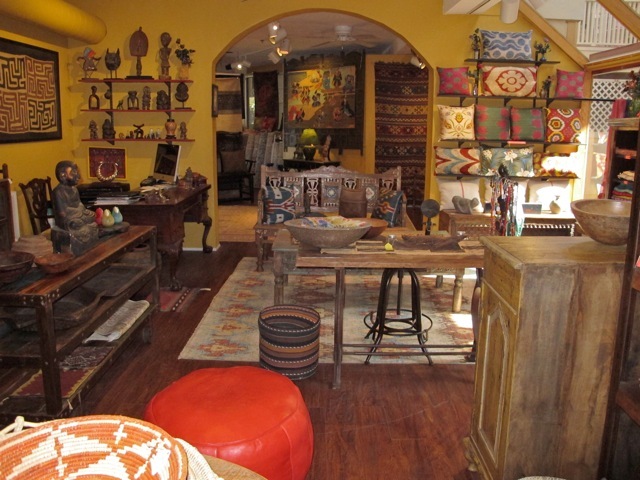 Richard offers rugs from Turkey, Afghanistan, Armenia, Iran, India and China that are all handwoven and unique. From finely-woven silk florals to geometric tribal designs. Sizes run from small 1′ x 1′ for tabletops or intimate areas to large 10′ x 14′ pieces. Turn your abode into a museum with artistic pieces that are affordably priced at Hassan Gallery. Spend some time and have lunch at the popular Cedar Cafe in front of the gallery that serves deliciously prepared fresh Mediterranean foods. 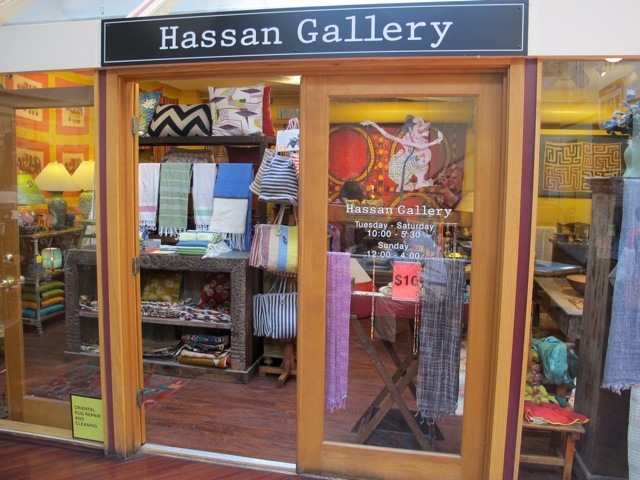 The Hassan Gallery is located inside Merchants Row at 2071 Washington Street, Hanover, MA. Hours are Tues – Sat from 10 to 5 pm, Sun 12 to 4 pm. Tel. 781-871-0030. You are currently reading Hassan Gallery at donna ingemanson studio.